Ten million fewer hangers will make their way to landfills this year, thanks to the help of Iris City Cleaners and other participants of the Drycleaning & Laundry Institute's "DLI Cleaners Care - Hanger Recycling" program. The program began as a U.S. project but has extended to nations abroad. Iris City Cleaners formerly recycled 500,000 hangers each year on its own, but by joining with associated cleaning businesses across the nation the company was able to contribute to a greater goal. 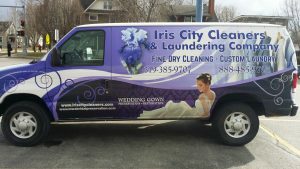 "We're proud to be part of a program that keeps hangers out of landfills and helps reduce our industry's carbon footprint," said Ed Longanecker, owner of Iris City Cleaners. "We want our customers to know that we care about the environment and the future as much as we care about cleaning their garments." Iris City Cleaners is working with many other drycleaners on the Drycleaning & Laundry Institute's DLI Cleaners Care Hanger Recycling program. The national effort aims to send 10 million fewer hangers to landfills in 2012, and hopes to see that number grow beyond that. "This program is designed to help the environment, customers, and cleaners," said DLI CEO Mary Scalco. "2012 is our first year with this program and we're shooting for 10 million fewer hangers in landfills. We want to see that number grow as awareness of the program spreads." 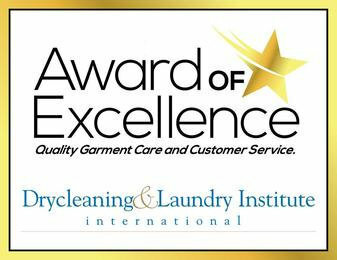 Learn more about the DLI Cleaners Care program at www.DLIcleanerscare.org.